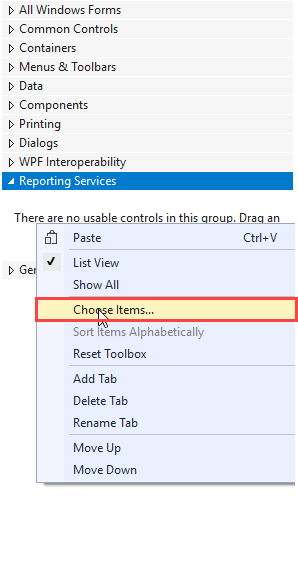 A few people asked me that they were not able to see RDLC Report options in the Visual Studio so, this article will definitely help them in order to Enable RDLC Report in Visual Studio 2017. 1) Installing from Extensions and Updates in Visual Studio 2017. 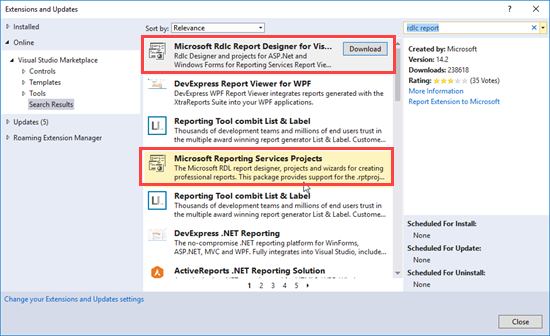 Go to Visual Studio’s Tools Menu > Extensions and Update > Select Microsoft RDLC Report Designer and Reporting Services Project for the Visual Studio. 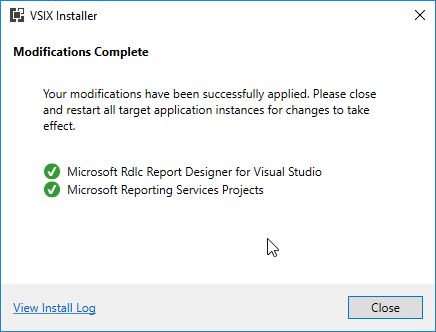 After Installing, you have to restart the Visual Studio. Once the installation completes, you have to close/ restart all the instances of the Visual Studio. 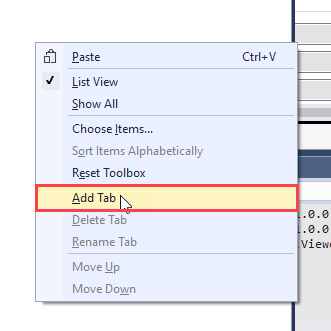 Create/Open a project in visual studio. 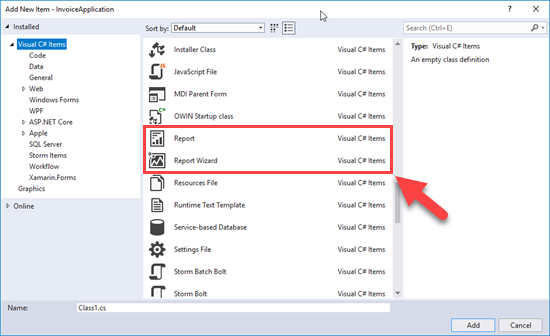 You will see that Report and Report Wizard is now available in the Visual Studio 2017. Now let’s add RDLC Report Viewer in the toolbox. 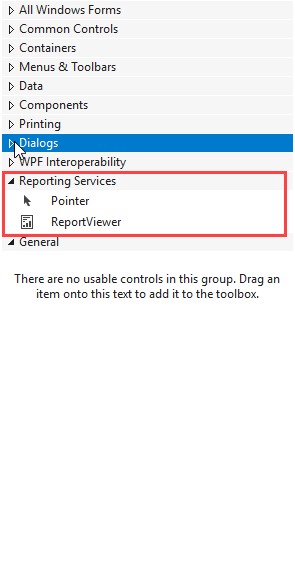 As I am working on a Windows form application, I need report viewer control in the toolbox so that I can Drag and Drop it easily on the forms where I want to use it. Open NuGet Package Manager and search for Microsoft Report Viewer. You can also run below commands in NuGet Package Console in order to download the report Viewer. Now Right click on the Toolbox in order to add a new tab and give it a name (Reporting Services). Right click on the newly added tab and click on choose items. 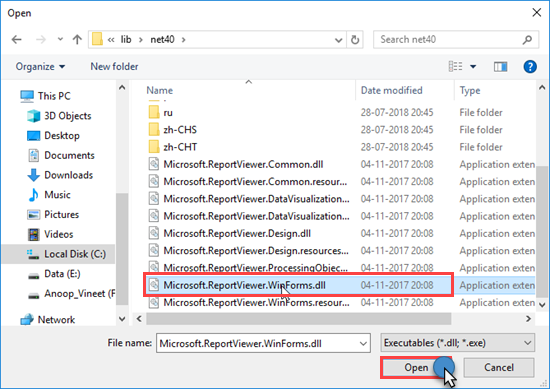 Go to the downloaded package's location and select the Reporting Views DLL. 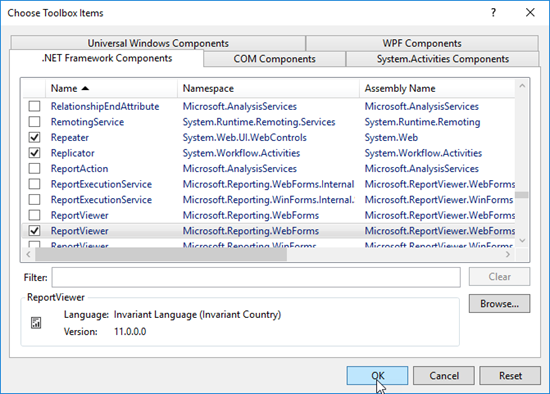 (As I ran Winforms command in NuGet package console for the Windows Form application, I have to select WinForm DLL). Report Viewer control added successfully to the toolbox. Now you can use the RDLC Report and Services in Visual Studio 2017 without any problem. Do You have Something Related to MVC Core Reports ? Hi Jesecov, Thanks for your valuable comment. Still I didn't posted any article related to MVC Core but I will definitely write on MVC Core after completing the MongoDB Series so stay tuned.